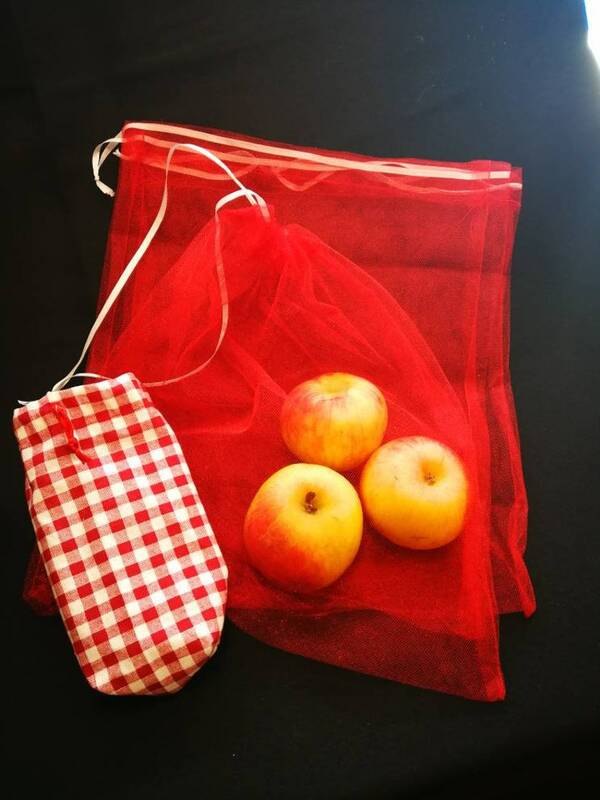 Set of 3 produce bags and a carrying pouch. Pouch attaches to your grocery bag so you won't leave them behind. Produce bags are approx 11x14 inches.